We also stock Stainless steel seamless pipe, seamless fittings, seamless Tubing, Alloy steel seamless pipe, Inconel Seamless Pipe, Nickel Seamless Pipe & Tube, Monel seamless tubing, hastelloy seamless pipe, cupro nickel seamless pipe etc. The environment management system of the company is certified according to the requirements of ISO 9001:2008, 14001, 18001 & PED. Few of the major brands we represent are Arcelor Mittal, Sumitomo, Tenaris API 5L Grade B PSL2 Seamless Steel Pipe, Benteler, Jazeera Steel, Hyundai HYSCO, Arabian Pipes Company, Froch, etc. Our materials are approved by Saudi ARAMCO, SABIC, SHELL, ADNOC, GASCO, PDO, KNPC, KOC, QATAR Gas, SGC etc. Ashtapad also offers a wide range of API 5L Grade B PSL2 Seamless Steel Pipe, 316 Seamless Tubing, 316 Seamless Pipe, ss 316l Seamless Pipe, 304 Seamless Tube, 304 Seamless Stainless Steel Tubing & Hydraulic Tube etc. We can meet most ASME, ASTM, AMS, and military specifications, and can cross-reference to most international standards, including full DIN 3.1b, full 3.1/3.2 Certifcation and NACE requirements. PSL refers to the product specification level where PSL2 provides a more extensive chemical composition complete with a mandatory minimum fracture toughness. 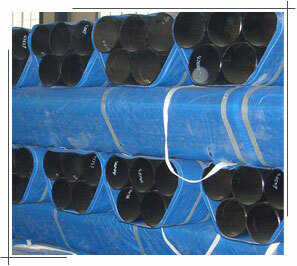 High yield seamless Pipe API 5L grade X65 PSL 2 Suitable for weldable structural steels for fixed offshore structures. The quality level of all Steel Line Pipe, API 5L Grade B PSL2 Seamless Steel Pipe is guaranteed by a complete internal Quality plan and certificating under ISO-9001, TUV (according to AD 2000-Merkblatt W0/TRD100), API, PED (accordance with Pressure Equipment Directive 97/23/EC), Burst test (Det Norske Veritas), and certainly Lloyds and Stoomwezen. Grades covered by this specification are A25 ,A ,B (and the following "X" Grades), X42, X46, X52, X56, X60, X65, X70, X80. The two digit number following the "X" indicates the Minimum Yield Strength (in 000’s psi) of pipe produced to this grade. The sum of the niobium, vanadium, and titanium concentrations shall be < 0.06%. Unless otherwise agreed, 0.50% maximum for copper, 0.30% maximum for nickel, 0.30% maximum for chromium, and 0.12% maximum for molybdenum. 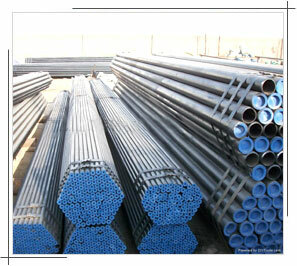 Usually API 5L Grade B PSL2 Seamless Steel Pipe are supplied as hot rolled. Only tubes with DN 6 -10, perhaps tubes of other dimensions are supplied as cold drawn and after forming they are heat treated. This is done as per precious agreement. The tube surface meets corresponds to the means of manufacturing. We are exporting API 5L Grade B PSL2 Seamless Steel Pipe to more than 40 countries like UAE, EGYPT, TURKEY, Singapore, Malaysia, Iran, Iraq, Saudi Arabia, Bahrain, Qatar, Yemen, Kuwait, Argentina, Palestin, Algeria, Italy, Tunisia, Oman, Mauritania, USA, Bangladesh, Lebanon, Canada, Vietnam, India, Sudan, Syria, Morocco, Libya, Jordon, and many more..
We also have our sales representatives to understand the requirements of our clients, we maintain ready stock of API 5L Grade B PSL2 Seamless Steel Pipe in cities like Abu Dhabi, Riyadh, Manama, Muscat, Doha, Dubai, Damascus, Khartoum, Beirut, Jeddah, Aleppo, Alexandria, Algiers, Amman, Mosul, Cairo, Baghdad, Dammam, Casablanca, Basra, Mecca, Tripoli, Rabat, Sana’a, Arbil, Hilla, Port Said, Marrakech, Medina, Al Hudaydah, Omdurman, Damietta, Homs, Kafr Dawar, Benghazi, Fez, Bahri, Nouakchott, Sulaymaniyah, Safi, Zarqa, Oran, Kirkuk, Ismailia, Tunis, Agadir, Tangier, Sharjah, Shibin El Kom, Misratah, Matrah, Aden, Najaf, Karbala, Latakia, Sousse, Meknes, Gaza, Fallujah, Aswan, Kassala, Al-Ubayyid, Sohag, Kuala Lumpur, Penang, Kuching & many more.. Tags: API 5L Grade B PSL2 Seamless Steel Pipe, best quality API 5L Grade B PSL2 Seamless Steel Pipe, wide variety of API 5L Grade B PSL2 Seamless Steel Pipe, API 5L Grade B PSL2 Seamless Steel Pipe India, API 5L Grade B PSL2 Seamless Steel Pipe distributor Mumbai, API 5L Grade B PSL2 Seamless Steel Pipe traders, prime quality API 5L Grade B PSL2 Seamless Steel Pipe, API 5L Grade B PSL2 Seamless Steel Pipe exporter, Source for API 5L Grade B PSL2 Seamless Steel Pipe, specialize in API 5L Grade B PSL2 Seamless Steel Pipe, API 5L Grade B PSL2 Seamless Steel Pipe with Test Certificate, API 5L Grade B PSL2 Seamless Steel Pipe manufacturers, API 5L Grade B PSL2 Seamless Steel Pipe manufacturer & suppliers, API 5L Grade B PSL2 Seamless Steel Pipe importer, API 5L Grade B PSL2 Seamless Steel Pipe dealers, API 5L Grade B PSL2 Seamless Steel Pipe mill, API 5L Grade B PSL2 Seamless Steel Pipe price, API 5L Grade B PSL2 Seamless Steel Pipe ready stock, API 5L Grade B PSL2 Seamless Steel Pipe urgent requirement, API 5L Grade B PSL2 Seamless Steel Pipe Turkey, API 5L Grade B PSL2 Seamless Steel Pipe UAE, used API 5L Grade B PSL2 Seamless Steel Pipe, API 5L Grade B PSL2 Seamless Steel Pipe manufacturing process, Suppliers of API 5L Grade B PSL2 Seamless Steel Pipe, Brand Steel Pipes stockist, send your API 5L Grade B PSL2 Seamless Steel Pipe requirement to our Mumbai, India office by email ashtapad@vsnl.net, ISO 9001, ISO 14001, OHSAS 18001, PED certified & Government Recognized Export House, Click here to send us your requirements of API 5L Grade B PSL2 Seamless Steel Pipe. 200+ tons in ready stock, order small (1 piece) or large quantity.